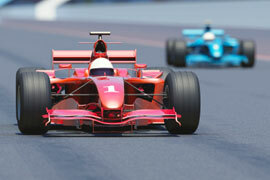 How Impressive is the start of Formula 1 Race? There are very few sporting events that generate more energy (literally) than the start of a Formula 1 race. Famous race tracks, such as Monza, Spa and Monaco, together with the finest and most technically advanced racing cars ever built, driven by drivers such as Senna, Prost, Schumacher and Vettel, just to name a few, are the scenes of some of the most dramatic races on the Formula 1 calendar. But nothing makes your heart palpitate more, your adrenaline soar higher or your ears explode than the start of a Formula 1 race, especially on one of these legendary tracks. The Formula 1 race weekend consists of three days and starts rather calmly on a Friday with the drivers reacquainting themselves with the track that they may have known from previous years. Each year, however, they come back with newly designed race cars, perhaps built to a new set of specifications and usually equipped with more powerful engines. Other factors contribute to the year-to-year change such as new tire specifications and electronic management systems. What this all means is that a race car that may have been successful last year is now obsolete and designated to race car museums and collectors. The pace of the race weekend picks up a bit on Saturday as the drivers try to get the very last tenth of a second per lap out of the car before qualifying, which determines the order that the drivers start the race. Pole Position is the reward for the driver who sets the fastest lap time in qualifying and means that he will start the race from the first position. When a Formula 1 race car goes around a track on its own it is impressive. When you have two cars together on the track racing each other it is even more impressive. Put a few more cars into the mix with each car trying to overtake the other and you have a scene that racing enthusiasts drool about. The excitement is pure, the noise is deafening and the skills demonstrated by the drivers are what make this sport so incredibly exciting. But wait! We haven't even got to the start yet. For the race on Sunday, the drivers line up to start the race in the order of their qualifying times from Saturday. Some drivers will have decided on a race strategy to suit the strengths of their car but, regardless of that, all the drivers will try to gain as many places at the start as possible. Monza, the famous Italian race track and home of the Italian grand Prix, is the fastest track on the Formula 1 calendar and is made up of long straights linked by slow tricky chicanes. The lap of the Monza track ends with the very long Parabolica curve before reaching the straight of the start/finish line. Spa is situated in the Belgian Ardennes Mountains and, apart from being one of the driver's favorite tracks, is perhaps the most beautiful in the world. While very fast in nature, the start in Spa is a very short run-up to a very tight hairpin curve and then leads up to one of the most famous curves in with world, "Eau Rouge". Monaco is perhaps the most famous Formula 1 race in the world and also the location of the most challenging track. While much slower than Monza, the nature of the Monaco track as it twists and turns through the tiny streets of the Principality brings out the very best in what a Formula 1 car is designed to do and challenges the vast skills of the drivers. But now, what happens when the red lights go out and the race starts? Well, you have to see it and live it in person to truly appreciate the energy and excitement. Twenty or more Formula 1 cars are on the starting grid, the engines are at maximum revolutions, the drivers are at the height of their instinctive skills and the lights go out and the race is on. The roar of the engines and the jockeying for position by the drivers through the first few corners make the start of a Formula 1 race one of the most exciting spectacles in all of sport, especially if you can witness it live. Buy on Amazon : Art of the Formula 1 Race Car. A book based on works of art, the fascinating results of Formula 1's mix of competition, creativity, and human ingenuity. Buy on Amazon: A PC Game based on formula 1 race including all 16 circuits, 11 teams, and 22 drivers from the 1998 world championship.